Get new EMV ready ATM machines for a fraction of what you now pay! ATM Money Machine will guarantee your credit union large ATM savings for your FCU! FCU receives all new large screen, EMV ready 2016 ATMs. Branding Rights- Expand your coverage area by choosing from our current inventory of ATM sites for branding opportunities. Each site you select will be Surcharge Free for your FCU members! We will show you how easily and quickly we can transform your ATMs! We have also developed an ATM branding program that can dramatically increase your ATM coverage state wide, with very little cost to you. So you could select from 1 up to over 200 ATM sites here in New Jersey alone. In the sites you select the ATM would be branded with your logo’s so that you could expand your footprint for a fraction of what it would cost you to do alone. Think of it. Through our ATM Branding program your Credit Union can offer customers more surcharge free ATM sites, with your logo’s, building brand awareness to bring in new business to your FCU. I highly recommend the services of ATM Money Machine, Inc. ABCO Federal Credit Union has utilized their services for more than 9 years. As a financial institution, it is critical that we provide excellent service and products to our members. 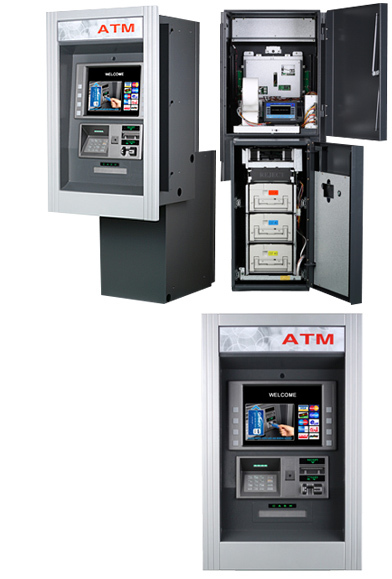 The products and services provided by ATM Money Machine are supported by an excellent service department. They are available on-call 24/7. ATM Money Machine, Inc. is a well run company that has time and again not just met, but exceeded their contractual agreements with us. I give them my highest recommendation. We will be happy to meet at your offices or in our offices outside of Atlantic City.